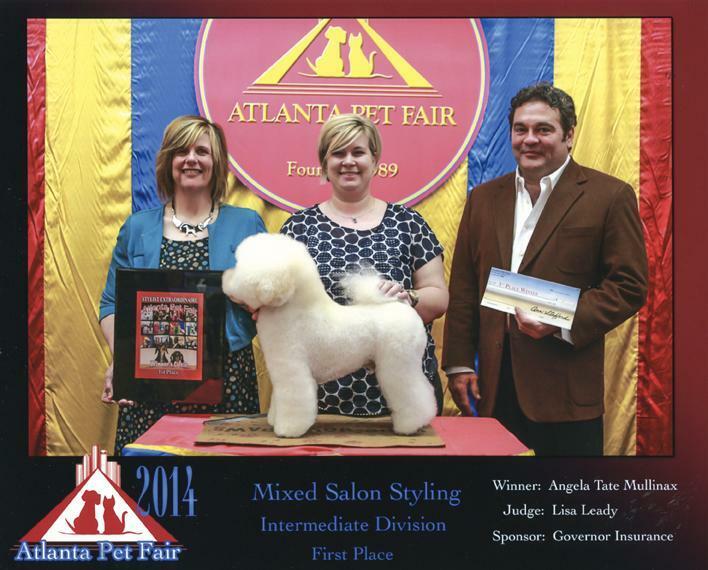 Angela Tate Mullinax, award winning groomer, took top honors at the Atlanta Pet Fair in March 2014. Angela placed 1st in the Mixed Salon Styling Intermediate Division with Roscoe, the miniature poodle groomed as a Bichon Frise. The 1st Place then put Angela into Group Placement where she placed 3rd. Roscoe is owned by Mr. and Mrs. Mike Broussard of Woodbury. Angela also placed 3rd in Intermediate Division Large Poodle with Alex, the standard poodle. Alex is owned by Ms. Lani Spigolon of Woodbury. The Atlanta Pet Fair is the largest competitive grooming competition in the southeast. Angela would like to say a big thank you to Ms. Lani and Mike and Elaine for all their support. Angela will soon be opening a new pet salon in Woodbury named Purrfectly Pawlished. To make an appointment, call 615-849-2433.